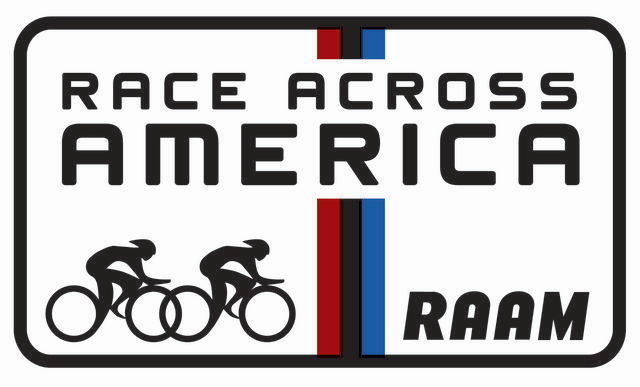 The Race Across AMerica (RAAM) is a 3,000 miles non-stop, coast-to-coast bicycle race. RAAM was founded in 1982 by John Marino, who conceived the idea for the race after his own 1978 transcontinental record ride. 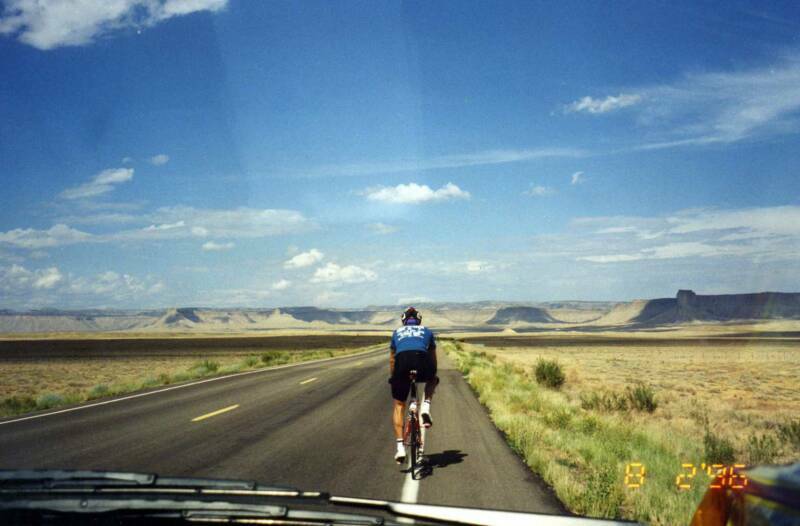 RAAM is the longest bicycle race in the world, and was voted "World's Toughest Race" by Outside Magazine. 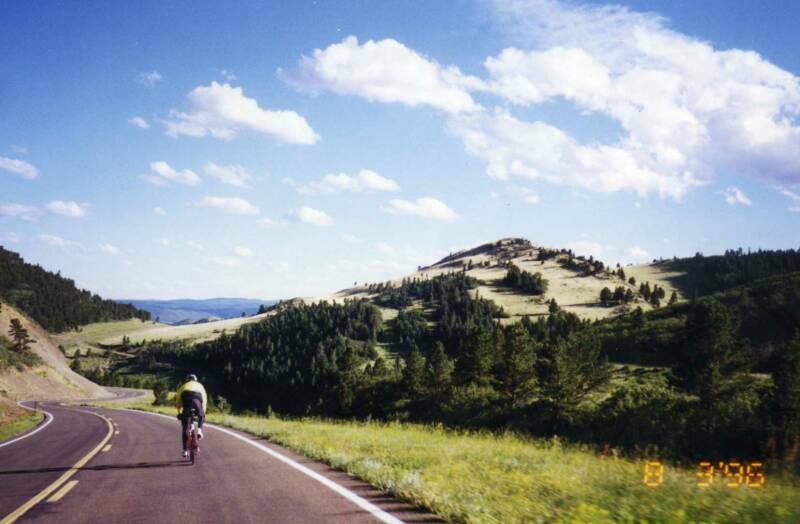 RAAM is held annually during the summer months. 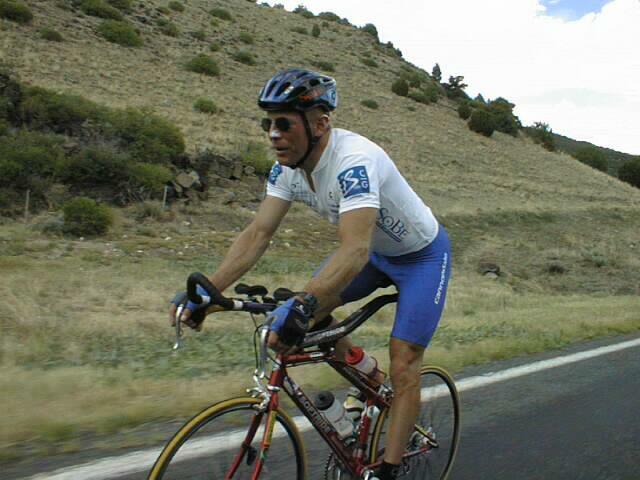 Participants consist of invited riders from past RAAMs and top finishers in regional RAAM qualifying events. American and foreign cyclists, who have proven their cycling ability in national and international competitions, receive special invitation to race. Rider and crew must follow a prescribed course that is detailed in an official race route book. In order to compete, a personal support crew is necessary. 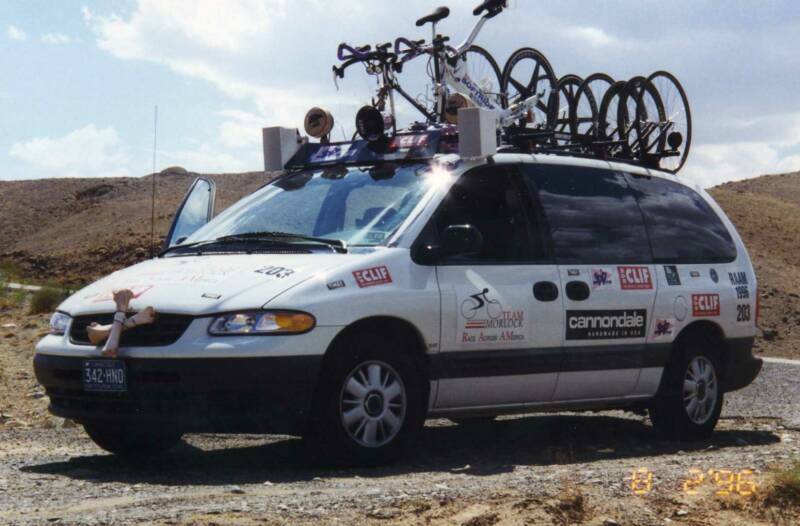 This crew typically consists of a crew van, motor home, and a pace van. The crew of 6 to 12 people is utilized for such necessities as food prep, massage, first aid, navigation, sleep and rest management, and bike maintenance. RAAM has visited a total of 30 states in the US. All races begin on the West Coast and have ended in: New York City, Atlantic City,Washington D.C., Savannah, GA, Gulf Breeze, FL, and Annapolis, MD. Weather conditions can vary from 120 degrees F in the desert to freezing in the high Colorado mountain ranges. 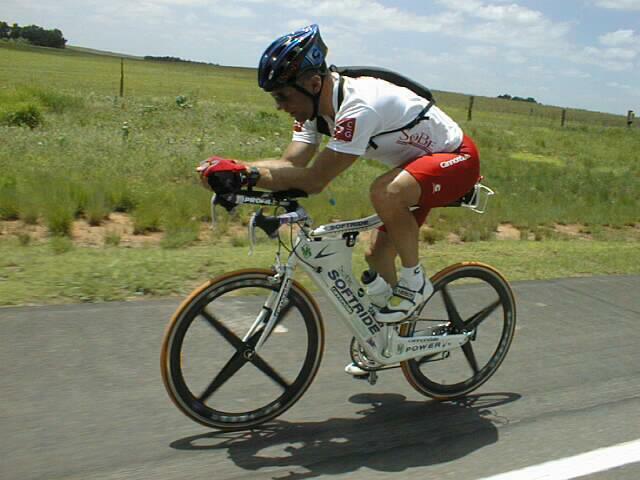 Riders cannot "draft" other competitors (use other riders to decrease wind resistance). 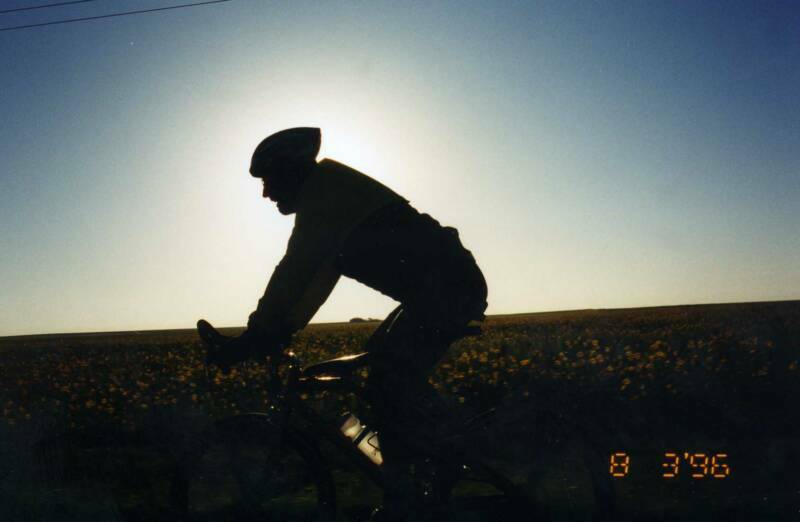 To remain competitive, riders must cycle 21-22 hours a day, leaving only 90 minutes to three hours of sleep a day. This translates to 300-350 miles of cycling a day for 8-10 days. There are no "time-outs" for sleep, rest, food, etc. The race clock starts in California and does not stop until the riders reaches the Atlantic Ocean. 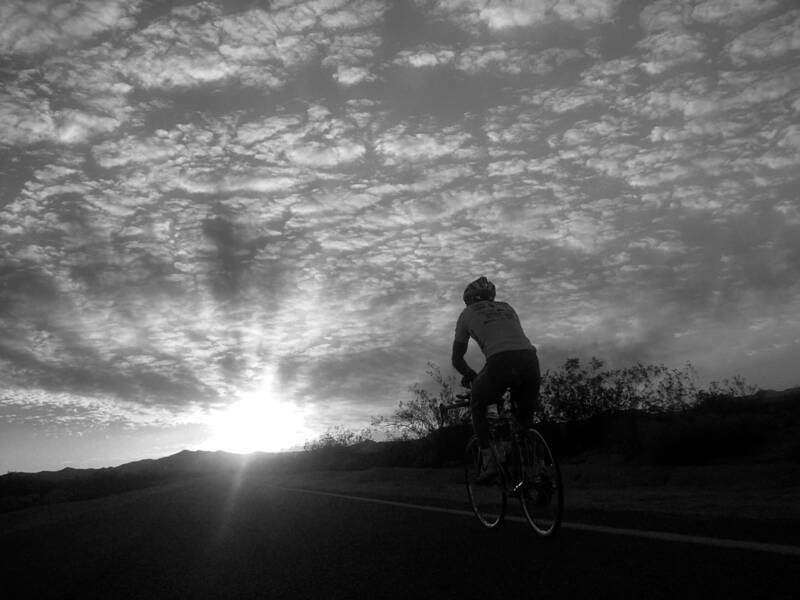 It takes a rider 2-6 months to fully recover from the effort (both physically and mentally). Historically, about half the entrants make it to the finish line. The rest drop out. Most riders are amateurs, and obtain corporate and personal sponsors to offset the costs associated with training and the race itself. RAAM is a sports success. ABC's Wide World of Sports won an Emmy award in sports programming for their coverage of the event. The Sports Illustrated Heidi Award for Excellence was also awarded.